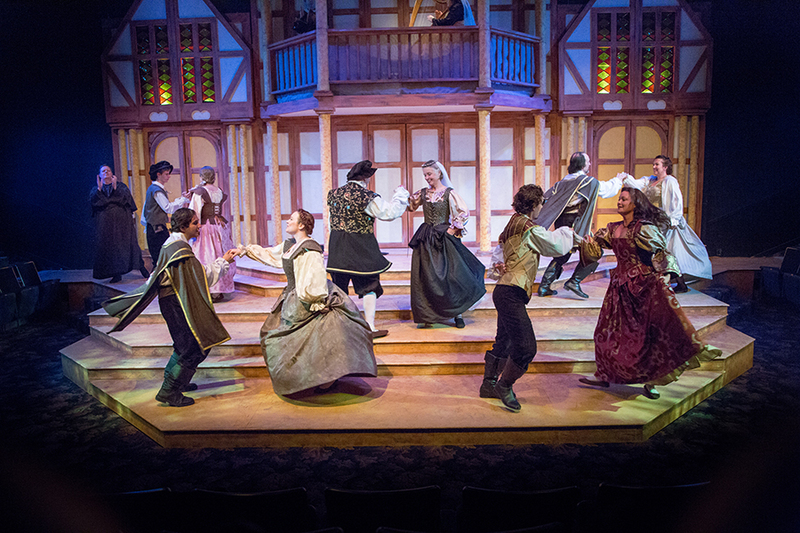 Sponsorship of a Cottage Theatre production is a visible demonstration of your commitment to the cultural and economic development of our community. Choosing to sponsor a show can complement your company's marketing and community involvement strategies and provide a unique opportunity for employee or client entertainment. Season Brochure: Your business name and/or logo will be included in our full-color season brochure, which is widely distributed throughout our region all year long. Other advertising: Your logo will be featured on our show posters and postcards (mailed to our mailing list of 3,000 households). Your logo will also be included on our website, and may be included in paid newspaper advertising placed in publications like the Cottage Grove Sentinel, Eugene Register-Guard, and Eugene Weekly. Theatre Marquee and Lobby Board: Your company logo will be included on the Cottage Theatre season posters mounted outside our building and inside our lobby all year long. Play Programs: Your business logo or name will be printed on the front cover of your play’s program. A complimentary half-page thank you advertisement will also be placed inside the program. Additionally, all sponsors are recognized throughout the year in all six main season play programs (seen by more than 10,000 patrons), both in our regular donor honor roll and in a special full color advertisement on the inside back cover. Curtain Speech: You will be thanked publicly for your support before every performance of your sponsored play. You will receive ten complimentary tickets to your sponsored production to distribute to employees, clients, friends or family. Show sponsorships are $3,000 for a main season production. To find out how your business can sponsor a Cottage Theatre production, contact us or call Executive Director Susan Goes at 541-942-8001.